The "Operation Strikeback" and "Extinction Protocol" expansions of Galaxy Defenders will pit the heroic Agents against even more dangerous aliens, fighting from the silent battlefields of the Moon to the eerie landscape of the aliens’ homeworld. But in these titanic struggles, the Agents will not be alone. 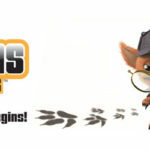 New classes, new agents, and new mechanics will be introduced as special options in the Kickstarter of the upcoming expansions. In this article, learn more about the first options presented in the Kickstarter campaign. Fifth Column option: two new agents and new generic Power Armor. 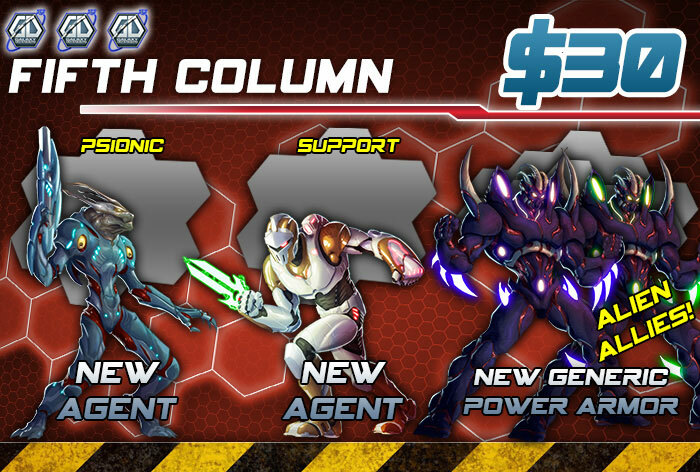 The Fifth Column option adds new agents to the game. 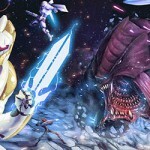 The Archon are an alien race who struggles desperately against the invaders. 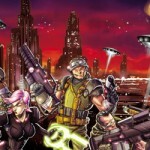 The Archon warriors siding with the Agents are the first members of a new class, the Psionic. Archons can use their incredible mind abilities to influence the course of the battle using their psi-powers to improve their aim, for example. Furthermore, being psionic means the Archons make ample use of the new Psionic abilities introduced in the two expansions. The Archon Warrior is also equipped with alien weapons, but he does not need the Alien Knowledge skill to use them, since he’s using his own weapons. The Archon warriors, first members of a new class, the Psionic. The second new Agent is the Knight. Like his NPC brethren, he was born a clone - but a very skilled one. Due to his excellent abilities, the Agency has chosen him as a new recruit. The Knight can be played in two different ways. As a Support class, the Knight can renounce a secondary weapon to equip more devices. This makes him very valuable on any team. The Knight can move quickly where he is most needed, and can ignore any enemy threatening him during his movement. The Knight can injure and blast away at enemies around him, allowing his teammates to regroup and put up a better defense. The Knight, a Support class agent. The other role of the Knight is as a Guardian (thanks to an additional reference sheet, unlocked with the first Red Stretch Goal at $50,000). The Knight Guardian works almost as a mobile defense unit. 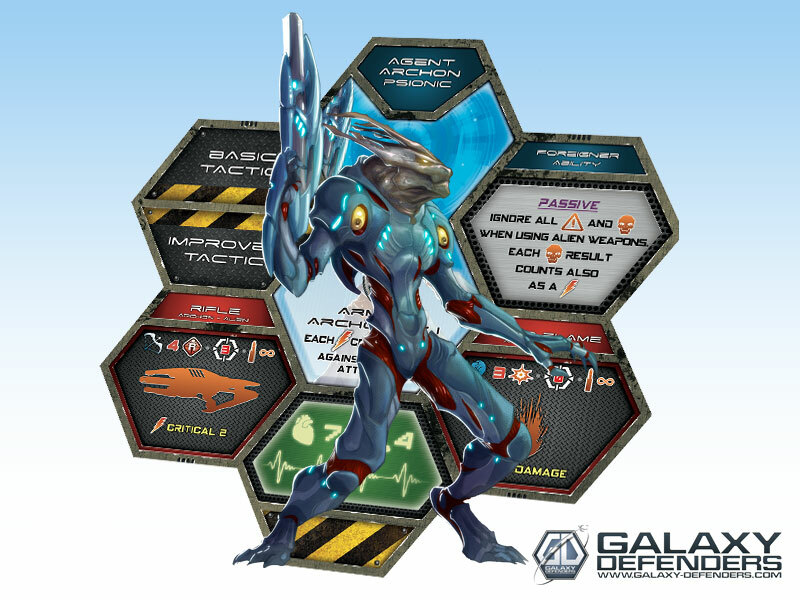 He can intercept attacks directed at his teammates and he can "control" aliens, moving them away from the Agents when necessary or placing them in a better position for a deadly shot. Of course, the Knight has his own weapons and skills as well, helping him fulfill his difficult, but vital support roles. 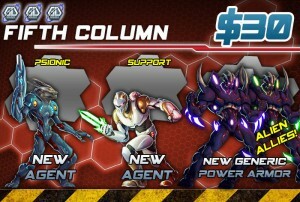 The "Fifth Column" expansion also includes two Bio-Power Armors. These incredible weapon platforms are living beings that become symbiotic with their Agent-host, turning him into a veritable war machine, with powerful defense and awesome attacks. 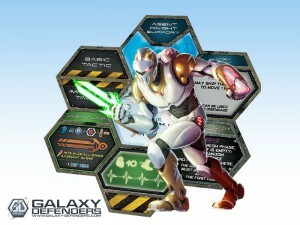 Plus, as a "generic" device, they can be used by ANY agent, including the new classes and, of course, the KS exclusives! The Master Alien Xeno-Lord is an option that adds a new challenge for our Agents. A most dangerous opponent, hailing from the Queen's personal guard, the Xeno-Lord is a fearsome warrior, sporting supreme martial skills. His mortal twin energy blades can slice through any material known, and his mastery of combat skills allows him to change stance according to his health. Xeno-Lord: a most dangerous opponent, hailing from the Queen's personal guard. The Xeno-Lord can employ an aggressive style or a defensive one, either charging his opponents with utter ferocity or using his incredible abilities to avoid mortal blows. And, if the battle becomes too hot, he can concentrate his power into raging bolts of pure electricity, either to recharge shields or hurt his enemies. This is the ultimate opponent for your Agents, a menace from another time! 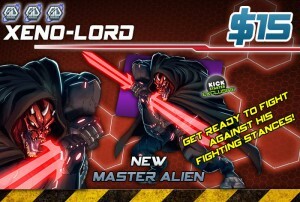 Another option that adds new opponents is the Elite Legion, which includes 16 red (Elite level) Alien figures and their Alien cards. 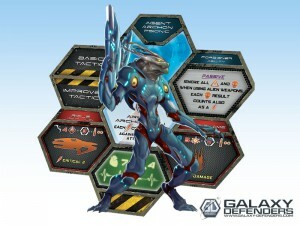 These figures use the same sculptures used for the Alien figures in the two expansions, but have unique game stats. They can be added to any mission, or replace the green/blue figures in a mission, to make the mission more difficult. 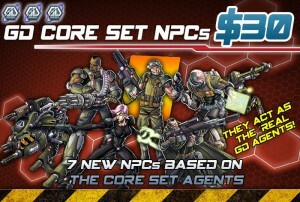 GD Core Set NPCs option allows to use the agents from the Core Set as NPCs. 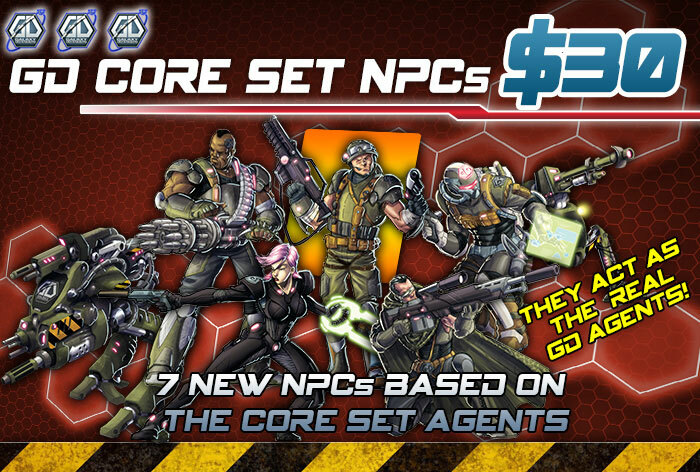 With the GD Core Set NPCs option, you can add the beloved agents from the core set as NPCs in your game. That's right, the old veterans - Mercury, Thorium, Titanium, Iridium, Chromium, and, of course, the two Biotech drones - can now act using their own AI to help other agents in a scenario. You will be able to use the skills of these agents in your battles, even if you don't have enough people to play with them. The NPC cards included in this option use an AI designed so that each NPC plays at his best and in a way as similar as possible to what a player would do when using the Agent. So, for instance, Thorium will be able to heal your Agents, while Titanium will unleash the power of his Vulcan autocannon. The two drones can also be used as NPCs, with the Sentry Gun deployable as an immovable sentinel to back-up your firepower, and the GD-209 as a moving gun platform, with the "Lethal" ability included! 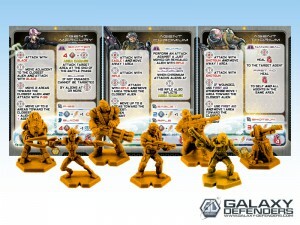 NPCs: yellow-colored cards and figures. Of course, you can have both Thorium as a PC with his drones, AND the NPC drones together in the same game, to unleash an inferno of fire over the enemies! The cards can be used to tailor the NPC deck for each mission, and an optional rule allows you to set up the deck so you only have NPCs of the Agents that are not in game as PCs. The Kickstarter campaign also offers Additional Maps and Additional Dices as options. The former includes a complete set of map tiles - the same ones included in the two new expansions. 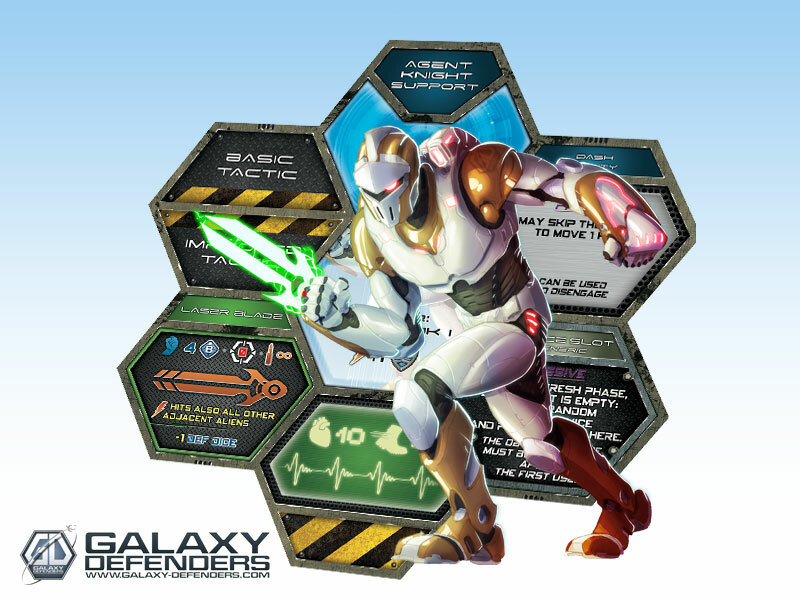 They are useful to create new missions, increasing the number of different layouts of the game board. The Additional Dice Set includes 10 custom game dice (5 green, 5 blue). The dice are the same ones included in the Core Set, and they are useful to simplify dice rolling, when an option or skill add rolls or re-rolls in excess of five dice, or to avoid sharing one set of dice between all players.